I’ve taken some time to create another Bungee Connect reference application using the SugarCRM web services API. I have previously posted about NetSuite, Salesforce, and Oracle/Siebel CRM On Demand. These small and simple applications perform the basic functionality of authentication, reading data, and writing data. The code is well commented and straightforward, providing an excellent foundation for one to base their own code on. In a nutshell, I’ve performed the task of identifying the intricacies of each service and how they apply in Bungee Connect. You can access any of these applications by logging on to Bungee Connect and selecting them from the Open Example Code tree on the Design tab. In this example, I’ll be discussing some of the basics of the Bungee Connect reference app for SugarCRM. Once you have your account information, you are set to simulate the form and log in. The status message at the very bottom of the form will indicate a successful login. You should see a list of contacts from your SugarCRM account in the listbox in the center of the form. You can also add customers using the controls at the bottom of the form. This screenshot shows the entire code for the adding a contact to SugarCRM. The code is well commented, but you can see that it is only a matter of calling the create_contact function in the web service, passing the data from the form. Now that you’ve seen the overview, it’s time to try it out! 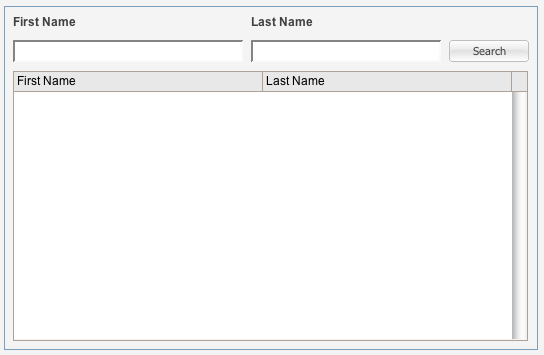 Log in to the builder and import the example code. For the full run-down (including links to video, forum posts and more) on SugarCRM with Bungee Connect, check out our dev center.